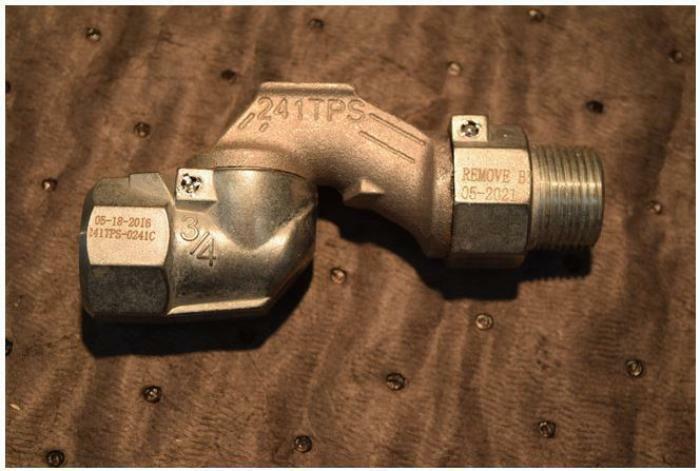 OPW of Hamilton, Ohio is recalling about 824,000 gas station hose swivel connectors. The company has received two reports of the swivel connectors separating from the hose or nozzle. No injuries have been reported. The recall involves metal swivel connectors installed between the nozzle and hose of gas station pumps that dispense refined fuels such as gasoline, diesel, ethanol blends, and biodiesel blends. The recalled swivel connectors have a “MFG date” printed on the end in the format of: MM YY or MM-DD-YEAR or MM-YEAR. The model number is printed on the center body of the swivel connector. The connectors, manufactured in Taiwan, were sold at OPW through distributors and direct to gas stations as individual units and as part of hose kits from January 2013, through January 2017, for about $33. Consumers may contact OPW toll-free at 866-562-5931 from 8 a.m. to 5 p.m. (ET) Monday through Friday or online at www.opwglobal.com and click on “Swivel Recall” for more information.